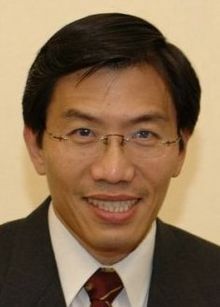 Dr Chee, Members of the Singapore Democrat Party, the Council of Asian Liberals and Democrats and Liberal International – and indeed anyone else, if there be anyone here who does not belong to any of these concentric circles. The one person I know does not belong to our extended family is Jee Say Tan, and of course he does not belong to the Singapore Democrat Party in the same way as no President of Singapore has belonged to the People’s Action Party. Having known him for longer than I have known anyone else in this room, 38 years in fact, having welcomed him as a freshman to University College in Oxford, I can only say how delighted I am that, as in those distant days, he has refused to conform. Dr Chee I have known for a mere decade and a half, when he was setting out on his then very lonely struggle to liberalise Singaporean politics. As you know he suffered for this more than those who had engaged in oppositional politics in the period immediately preceding. At the time Singapore got its independence of course harsh measures were the norm, the Singapore government like its British predecessor jailing anyone who was even remotely committed to leftist politics. The reason Dr Chee was treated so badly however was because he took on the Singapore regime on its own terms. Indeed he could have been a favoured son of that regime had he not believed that freedom is not only about economic freedom but also about political and social freedom. From a Liberal standpoint, asserting the importance of all freedoms, he exposed the pretensions of the People’s Action Party. Sadly those pretensions still take in many people who see themselves as belonging to the Liberal family. The continuing celebration of Singapore in indices that take no account of political authoritarianism is sad, and it is for that reason that I am doubly thankful to Liberal International for making so powerful a statement about the need for consistency in our advocacy of Liberal principles. Our pride in Dr Chee extends also then to pride in Liberal International for so forcefully expressing its truly international spirit. This follows on the award a few years back to Sam Rainsy of Cambodia, again an example of Liberal International indicating its understanding of the courage he displayed in standing up to an authoritarian regime. But in the case of Dr Chee, it has been even harder to establish what he has been up against, because of the far more subtle ways in which the Singapore government stifles dissension. I first realized this when I was told about the manner in which Dr Chee was dismissed from his post at the University. Some good friends of my family who had lived and worked in Singapore for years, who were strong supporters of the government, nevertheless made it clear that the charges against Dr Chee were trumped up and ridiculous. Since then he has suffered bankruptcy through legal proceedings which otherwise liberal members of the international community treat as sacrosanct, an indulgence they would not bestow on countries such as Cambodia or Burma. In recalling another winner from Asia of the Liberal International Prize for Freedom, Daw Aung San Suu Kyi, I should note another reason for satisfaction tonight, in that it seems the long freeze on democratic activity in Burma is finally beginning to thaw. I know there is a long way to go, I know that many pitfalls lie ahead, but I am glad that CALD last year decided to take the opportunity to engage with her. Her willingness to engage with those who treated her so badly, to talk to them with hope whilst still asserting the principles she upheld for so long, is truly admirable, and I hope this will be crowned with further success. Similarly, I am pleased that the results of the last Singapore General Election indicate that that freeze too is thawing. Those were followed by the Presidential Election in which for the first time ever a majority of Singaporeans indicated their dissatisfaction with the monolithic hold the People’s Action Party has exercised so long on the body politic. Jee Say will appreciate the fact that one of his contemporaries who is now working in Cambodia, in apprising me of the results, suggested that he thought some manipulation had occurred. That may simply be University College solidarity, but I believe that the result has established quite clearly that the Singapore Democrat Party will soon move to more tangible successes. 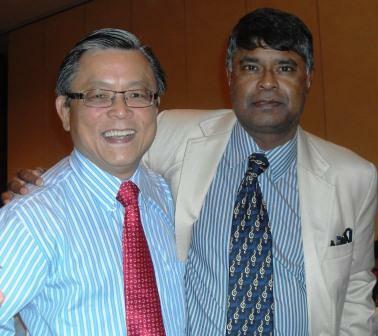 My congratulations then to Dr Chee, to Jee Say, and to the Singapore Democrat Party. And my congratulations too to the Council of Asian Liberals and Democrats and to Liberal International, for it is truly an honour to be associated with all of you here in Singapore in your long and difficult but unstoppable journey to a liberal democratic future.